All songs written and composed by Barry Moore. Special thanks to Manus Lunny, Bren and T.G. O'Rourke, and Clive. 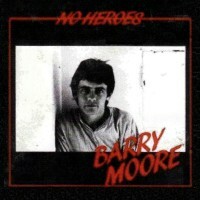 No Heroes was the final studio record that Barry Moore released before adopting the performing name Luka Bloom. Moore was not to introduce the trademark Luka Bloom electro-acoustic sound until 1990's Riverside, but No Heroes comes a step closer with the rapid downstroke, heavy strumming of "Winona" and "German Girl". The guitar playing is less intricate than the 1978 album The Treaty Stone, lacking the lengthy instrumental solos of that album. But it also finds Moore focusing more on his songwriting and less on new arrangements of traditional songs. The reflective "Newbridge Town", and the Nick Drake-inflected "Feeling Inside Me" and "Mother, Father, Son" are particularly strong examples, though they pale in comparison to his later work.